Winner of the 2017 Banff Mountain Book Award for Mountain Literature (Non Fiction). Shortlisted for the 2017 Boardman Tasker Prize for Mountain Literature. A profound and moving biography of one of the international climbing world's most respected, complicated and reclusive mountaineers. Voytek Kurtyka remains one of the greatest alpinists of all time. Born in 1947, he was one of the leading lights of the Polish golden age of Himalayan climbing. His visionary approach to climbing resulted in many renowned ascents, such as the complete Broad Peak traverse, the “night naked” speed climbs of Cho Oyu and Shishapangma and, above all, the alpine-style ascent of the West Face of Gasherbrum IV. Dubbed the “climb of the century,” his route on G IV, as of 2016, has yet to be repeated. His most frequent climbing partners were alpine legends of their time: Polish Himalayan climber Jerzy Kukuczka, Swiss mountain guide Erhard Loretan and British alpinist Alex MacIntyre. 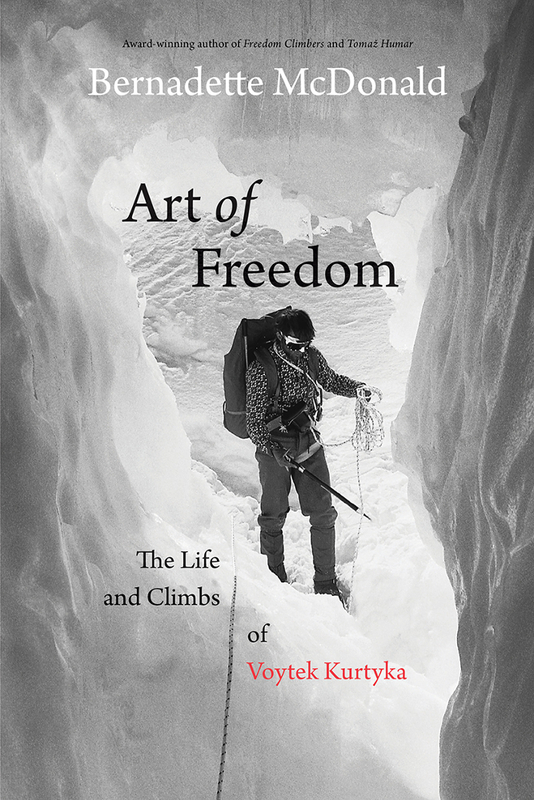 Certain to be a major event in the climbing world, Art of Freedom will appeal to all readers who dream of mountain landscapes and those who long to touch the sky.